Product #16053 | SKU ELM-KB | 0.0 (no ratings yet) Thanks for your rating! 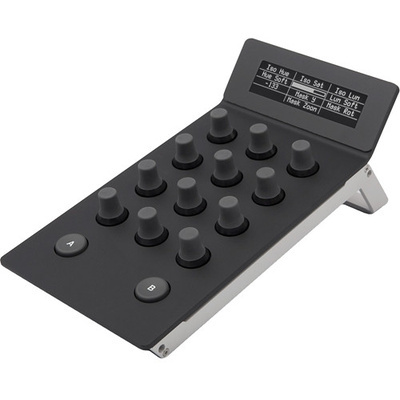 The Tangent Devices Element Kb Panel is the "Knob" panel of a set of four Element panels that replace a keyboard and mouse in operating select functions of supporting software, such as of supporting colour-grading software. The panels can be used to achieve precise results quicker and with more technical gratification than possible with a keyboard and mouse. The list of supporting software is a growing one and includes such applications as DaVinci Resolve, SCRATCH, On-Set Dailies, Mistika, and YoYo.